EqualArt Youth Exchange finalized according to plan with a great success! We implemented it in October 4-14, 2016 in Malaga. With this project, we had the opportunity to spend our time tackling topics which affect us all, such as gender equality, social inclusion and arts. 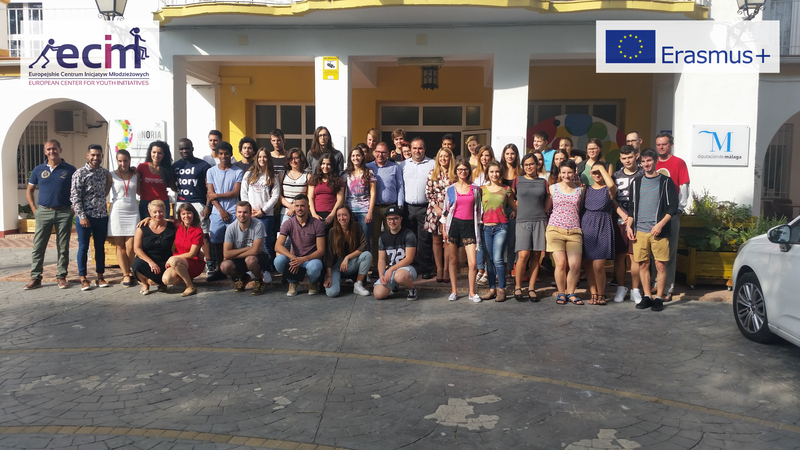 EQUALART was a project within the frame of Erasmus+ (Key Action 1) which had as main goal to promote gender equality among young people, using music and artistic performances as the main mean of diffusion. During 11 days, 42 young people, aged between 18‐28 years old, coming from Portugal, Slovenia, Germany, Romania, Italy, Poland and Spain, worked together through non‐formal educational activities about this topic, to promote equal opportunities and social inclusion through artistic expression, in a creative and innovative way. Nowadays music is a strong tool to express our emotions, spreading a message or an image. Unfortunately, many times is used to spread gender and social stereotypes. But we can also use music to break these stereotypes, spreading a message of social inclusion and gender equality, what we did during this Youth Exchange. Our project was consisted of writing the lyrics and composing the melody of a song against gender violence and social exclusion by youngsters coming from different backgrounds. The song was recorded in a professional studio, and then the participants act in a public performance in order to promote it. During the first days of the project, the young artists discussed about social inclusion, equal opportunities and gender equality; they also received training from an expert on gender equality and did activities to stimulate creativity and to relieve stress. After these first steps, participants took part on the workshops where they created the lyrics and melody of the song. Once the song was finished, could be recorded in a professional studio and let us prepare the final performance. During 11 days, we intended not only to promote and understand the concept of gender equality, but also to propose an alternative music whose message will break the stereotypes to which we are used to. Besides, it is necessary for our society to promote and to give value to the image of strong and independent women and of a courageous society capable of denouncing the scourge of gender violence that we suffer nowadays.